We selected Mena Mekhaeel as our 2016 Student of the Year Scholarship Winner. Mena receives his tutoring in Mira Loma. 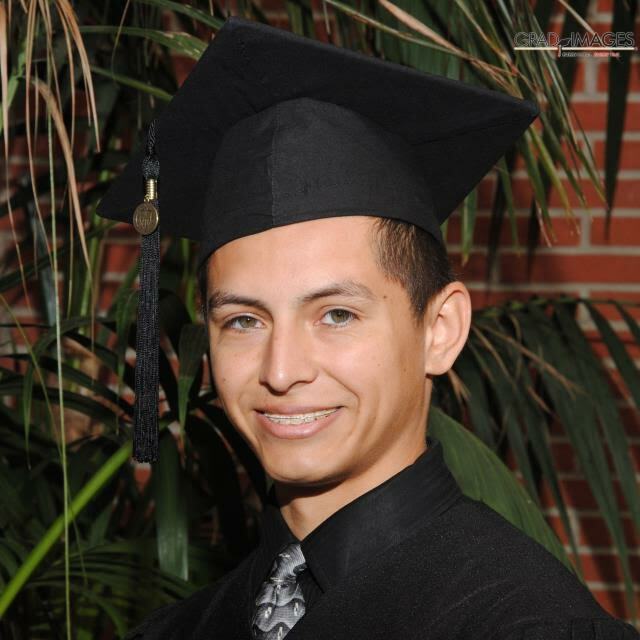 He graduated from Eleanor Roosevelt High School, last school year and he is now attending Cal State Fullerton – he hopes to get a degree in Biology and become a doctor. We have been working with Mena since the beginning of 2014. For the past 2.5 years, he has been working with Laura. Laura has been helping Mena with different advanced math and science courses that Mena has taken throughout his academic life. Mena has definitely been an outstanding student to work with and it has been wonderful to see him grow throughout these past 2 years. We began working with Mena halfway through his junior year of high school, because he needed a bit of extra support in his pre-calculus class. Based on the information his mother provided, we knew right away that Mena was a very bright and special student and that we had to find someone that would be able to challenge him intellectually. We ended up pairing him up with our tutor, Laura. Laura was the perfect fit for Mena – they hit it off right away. Right after their first session, when we spoke with Laura, she said she was so impressed by Mena’s high level of intelligence and for the deep questions he posed. They seemed like a perfect match because of their love of learning math and science. Mena is one of those exceptional students that likes to be challenged academically. He has continually taken some of the hardest courses offered at his high school and college and has managed to excel in pretty much all of them. Although he was not always the most motivated when it came to studying, outside of the tutoring sessions, once he reached college, he realized that in order to achieve his goals, he was going to have to work harder than ever. He saw the opportunity and the challenge that college presented and he took it on head first. He achieved his goal of getting straight A’s his first year of college, while continuing to take some of the more challenging courses available (he took Calculus this year, just for fun). Laura describes Mena as a determined and bright student. She says that she enjoys working with him because of how focused and prepared he always is during their tutoring sessions. He has a clear respect for education and educators. Laura has not been the only tutor to work with him; Mena has had a few substitute tutors to help him along the way (when Laura has been unavailable). Each one of his tutors has said nothing but wonderful things about Mena. The first things they always mention is how bright, respectful and eager to learn Mena is. Each of our tutors that has worked with Mena has expressed the joy they feel from working with a student who loves to learn and who also challenges them to be better educators. 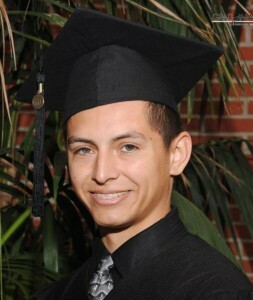 Mena is a fantastic young man who sets high goals for himself and achieves them. He never ceases to impress us. He was previously selected as one of our 2014 Share Your Passion Facebook Scholarship Winners – he wrote a fantastic essay about his passion for the arts. Additionally, he was also selected as our May 2014 Student of the Month. He has proven to be an absolute joy to work with and a true inspiration. We know many more successes will follow. We would like to thank and congratulate both Mena and Saly for trusting us these past 2.5 years and for letting us be part of their academic journey. On July 13th, 2016, we were delighted to be able to interview Mena and his mother, Saly. To learn about their academic and tutoring experience, click to watch the video. 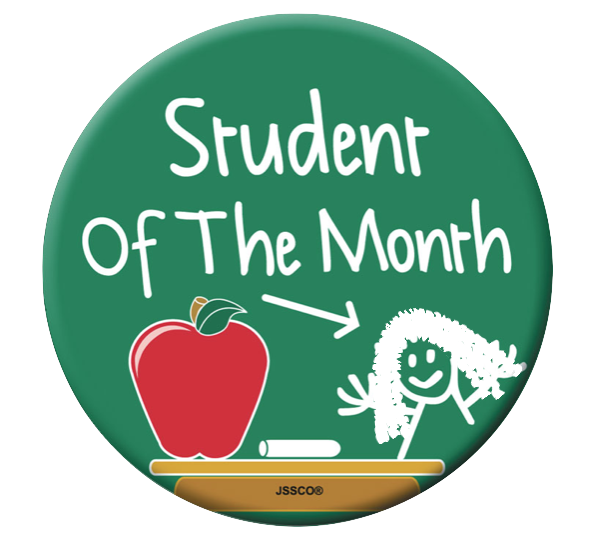 If you feel that your child has improved in school, due to the tutoring they have received from us, and you would like them to be featured as our Student of the Month, please send us an email letting us know how your child has improved. We hope you can help us show how proud we are of each one of our students. We provide tutoring in Corona, Norco, Eastvale, Chino Hills, Chino, Mira Loma, Alta Loma, Ontario, Rancho Cucamonga, and all the surrounding cities. We have students from Sky Country Elementary, Oxford Preparatory Academy, Heritage Oak Private Education, Townsend Junior High School, Roosevelt High School, Alta Loma High School, Norco High School, Centennial High School, Chino Hills High School, Ontario Christian High School and Ayala High School. 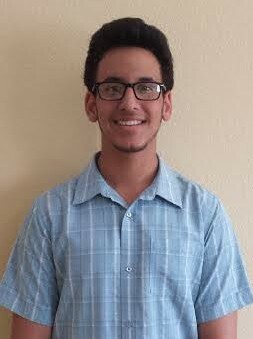 For the month of April 2016, we selected Adrian Gonzalez as our Student of the Month. Adrian receives his tutoring in Rancho Cucamonga. 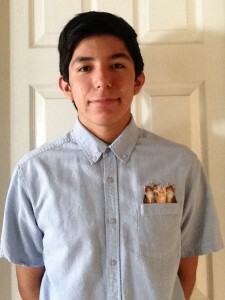 Adrian is in the 6th grade and he attends Etiwanda Intermediate School. We have been working with Adrian since October 2015. For the past 7 months, he has been working with our tutor, Melissa, to help improve his understanding of math. Since he started receiving tutoring, Adrian has become a lot more confident and his attitude towards math has improved greatly. We wanted to congratulate Adrian on his hard work and improved grades by nominating him as our April 2016 Student of the Month. When we first began working with Adrian he was not too interested in math. His tutor, Melissa, says that he seemed to be discouraged because he didn’t fully understand math’s function or purpose. Melissa goes on to say, “Since Adrian struggled in math, he was a bit resistant at first to understand the material or attempt his homework.” Although Adrian was not a huge fan of math, he was always such a wonderful student to work with. Melissa describes Adrian as being a very kind and respectful student who was always ready to learn. Melissa added, “He (Adrian) is always prepared to work and is never afraid to ask questions or admit when he doesn’t understand. I also enjoy working with Adrian because his family is such a great support system they always encourage him to improve and are very proactive in helping Adrian, which has definitely showed in his work and attitude towards learning.” It is thanks to the support system, his positive attitude, and the help of Melissa, that Adrian was able to change his impression of a previously thought to be tough subject. With a little bit of work and encouragement Melissa soon managed to get through to Adrian and teach him the importance of math and how to approach it in a way that was more manageable. They worked hard throughout the 7 months and their hard work paid off immensely. Melissa says, “Adrian is comprehending math a lot more, he’s able to show examples of his work and explain the process much better. He has shown a lot more interest in learning and really giving it his best shot.” She then added, “As his tutor, I couldn’t be more proud of him, I’m so glad his confidence with math has improved and I can’t wait to see him continue to grow and improve even more.” We too are very proud of Adrian’s growth and we know his parents are as well. We are lucky to get to work with students like Adrian – students who are highly motivated and simply need a bit of a push and guidance to live up to their full potential. Sarah, Adrian’s mother, says, “My son Adrian has excelled very much from The Tutoring Solution. His tutor Melissa is awesome! I see my son with more confidence in math. As a parent, all we want is the best for our son and I am very very happy with the tutoring my son has received.” We are thrilled to have helped Adrian realize that he is capable of tackling the tough math problems head on and succeeding. 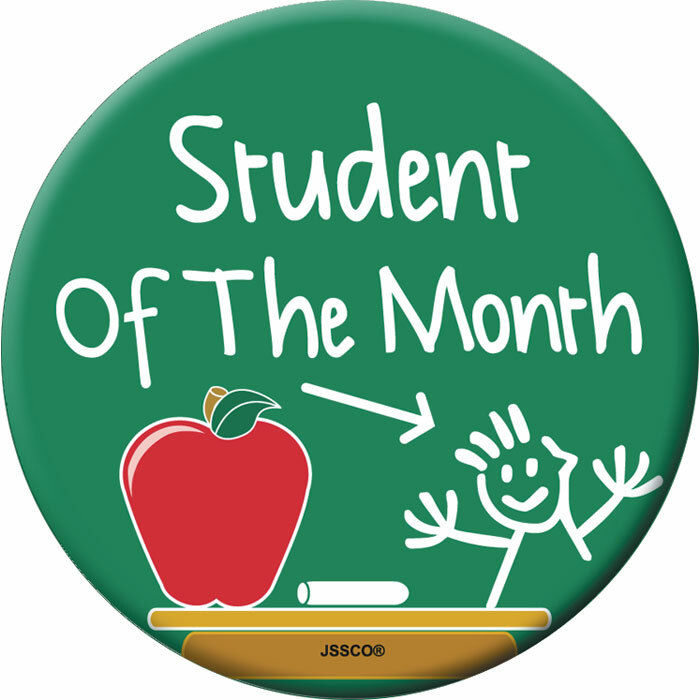 We too are very proud of you Adrian and we are delighted to call you our April 2016 Student of the Month. Keep up the fantastic work! We provide tutoring in Chino, Norco, Corona, Chino Hills, Eastvale, Mira Loma, Alta Loma, Ontario, Rancho Cucamonga, and all the surrounding cities. We have students from Sky Country Elementary, Oxford Preparatory Academy, Heritage Oak Private Education, Townsend Junior High School, Roosevelt High School, Alta Loma High School, Norco High School, Centennial High School, Chino Hills High School, Ontario Christian High School and Ayala High School. For the month of February 2016, we selected Brianna Cano as our Student of the Month. Brianna receives her tutoring in Corona. 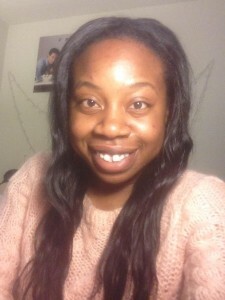 Brianna is in the 10th grade and she attends Eleanor Roosevelt High School. We have been working with Brianna since September 2015. She has been working with our tutor, Laura, to help improve her understanding of Algebra II. Since she started receiving tutoring, Brianna’s test scores and grades have improved greatly as has her understanding of Algebra II. We wanted to congratulate Brianna on her hard work and improved grades by nominating her as our February 2016 Student of the Month. We began working with Brianna at the beginning of the school year. Her mother approached us because Brianna was struggling with Algebra II and they wanted to get a tutor to work one-on-one with her and help her gain a better understanding of the specific topics she was struggling with in her Algebra II class. Brianna is the type of student that takes her education very seriously and takes advantage of her tutoring sessions in order to ensure that she is learning as much as she can. Laura describes Brianna as being a quiet student who “takes her studies seriously”. She added, “Brianna listens really well. She usually gets my explanations the first time. Brianna is smart and hard working”. Her dedication to learning has helped her make great strides. Laura says that when she first began working with Brianna, she had to help her a lot with her homework, because Brianna did not have as great of an understanding of Algebra II; however, as time went on, Brianna required less and less help. Laura said, “Now I mostly watch and advice when she (Brianna) makes mistakes, which is not very often. Sometimes she needs a mini lecture on the topic, but that is mostly because she has a new math teacher this semester.” Not only has Laura noticed an improvement, her parents have as well. Sally, her mother said, “She (Brianna) loves working with Laura and her grades have improved tremendously”. We love seeing our students prosper and become confident learners. We are very happy that we could take part in helping Brianna achieve some of her academic goals and we are thankful for the opportunity to work with such a bright young lady. We are delighted to hear that the feeling is mutual. Sally said, “She is very grateful that she was chosen (as Student of the Month) and wants to say thank you for everything. We are all very grateful for your service”. Congratulations Brianna! We hope you continue to work as hard as you have been working and that you reach all of your goals. Sheila Natalio’s daughter, Sabrina de Leon, has been receiving tutoring with us since October 2015. We have been helping her with Algebra II. Sabrina has proven to be a delight to work with. In January 2016, we selected Sabrina as our Student of the Month. We look forward to working with them both and seeing Sabrina continue to blossom. We provide tutoring in Chino Hills, Ontario, Eastvale, Corona, Chino, Mira Loma, Alta Loma, Norco, Rancho Cucamonga and all the surrounding cities. We have students from Sky Country Elementary, Oxford Prepatory Academy, Townsend Junior High School, Roosevelt High School, Alta Loma High School, Norco High School, Centennial High School, Chino Hills High School, Ontario Christian High School and Ayala High School. What is your experience as a tutor or teacher? I have taught my sister throughout high school with her classes when she needed help. What subjects are you best at? I can tutor math, history, English and biology. What is your schedule like? What days and times are you available to tutor? Tutor is no longer available. Tutor’s schedule is subject to change. What school are you currently attending? What degrees are you currently working towards? I am currently a second year student at the University of California Riverside. I am working towards a degree in business administration with a concentration in marketing and management. What cities can you tutor in (i.e. how far can you drive to tutor)? Any cities around Chino Hills, Riverside, Corona, Ontario, etc. Are you open to tutoring students via Skype or another online platform? I am open to tutoring students via Skype or other online platform. What are your future career goals? I plan on going to law school after 1 to 2 years of working in business. I plan to focus on business/entertainment law. What are your hobbies? What do you like to do for fun? I am a performer. I love to sing, play the guitar, and act. 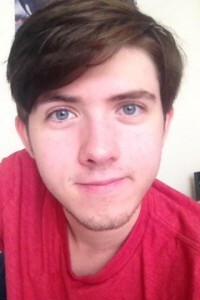 I also enjoy playing soccer, spending time with friends and watching tv shows. What accomplishments have you achieved while working as a tutor/teacher? I have helped my sister increase her grades in her math classes in high school. What do you enjoy the most about tutoring/teaching? I love the amazing feeling of watching a student finally understand a concept they had been struggling with. It is a very rewarding experience to help others understand concepts and truly believe in their learning abilities. If you’re interested in hiring Besong as a tutor, please contact us at (909) 238-8233 or email us at TheTutoringSolution@gmail.com. To learn more about our other tutors, click on the link. We provide tutoring in Chino Hills, Chino, Ontario, Rancho Cucamonga, Riverside, Eastvale, Alta Loma, Corona, Norco, Mira Loma and all the surrounding cities. We have students from Sky Country Elementary, Oxford Preparatory Academy, Townsend Junior High School, Roosevelt High School, Alta Loma High School, Norco High School, Centennial High School, Chino Hills High School, Ontario Christian High School and Ayala High School. 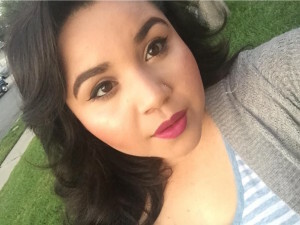 For the month of January 2016, we selected Sabrina de Leon as our Student of the Month. Sabrina receives her tutoring in Chino Hills. 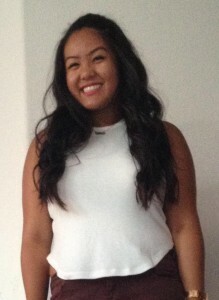 Sabrina is in the 10th grade and she attends Chino Hills High School. We have been working with Sabrina since October 2015. She has been working with our tutor, Jules, to help improve her understanding of Algebra II. Sabrina has improved greatly, she has received higher marks in the recent quizzes and tests she has taken recently. We selected Sabrina as our January Student of the Month because she deserves to be recognized for all the hard work she has been putting in these last few months and because she should know just how bright she is. When they first started working together, Jules noted that Sabrina lacked confidence in her own abilities. She said, “Sabrina is a student that doesn’t realize how bright she is. When she is in the classroom environment, she feels like the information passes her too quickly for her to grasp it. But the moment she sits with someone in a one-on-one situation, she picks up every single mathematical concept thrown at her.” With a little bit of guidance, Sabrina soon began to believe in herself and to see that she is capable of a lot more than she had previously thought. Sabrina has been a true pleasure to work with and has made the each tutoring session very memorable. When asked what she enjoyed the most about working with Sabrina, Jules said, “I enjoy how quickly she picks up mathematical concepts. My favorite moments with students are when they have “lightbulb” moments. Sabrina has those moments with every session, and it is the best thing that a teacher could ask for in a student.” We look forward to continuing to work with Sabrina and Sheila and we know that Jules looks forward to sharing those “lightbulb” moments with Sabrina. Congratulations Sabrina! We are very pleased to call you our January 2016 Student of the Month. We look forward to future “lightbulb” moments. Johnny Rezendes – Tutor is no longer available. This will be my first real experience tutoring but I am excited to start. Before this I have had experience as a student director and helped a student overcome stage fright by working with them one on one. I love Biology and science in general and am very passionate about learning. I am also skilled in the performing arts and various other subjects such as Chemistry and Algebra. I attended Liberty High School and am now a Biotechnology major at Cal Poly Pomona. I am currently working towards my bachelors degree and hope to eventually get an M.D, Ph.D, or masters in the future. What cities can you tutor in (i.e. how far are you willing to drive to tutor)? I can tutor anywhere near or around Cal Poly Pomona which includes Diamond Bar, Chino, and Chino Hills. I would eventually like to become a neurologist or a researcher in the field of neuroscience. I enjoy going to the beach and going on hikes. I also really love catching a play or musical when I get the chance. I once helped a student overcome their stage fright in a voice class. I hope to have more once I start tutoring. I enjoy watching the student grow and come to understand the subject they have been studying. If you’re interested in hiring Johnny as a tutor, please contact us at (909) 238-8233 or email us at TheTutoringSolution@gmail.com. To learn more about our other tutors, click on the link. Victor Alfaro – Tutor is no longer available. I have volunteered for the Corona Public Library as a tutor for children in elementary. I helped with their homework as well as reading. I have also worked with peers, helping them study before tests or helping with research papers. I also helped a college student with his 3D animation class. I excel in subjects that are computer related as well as the earlier levels of math such as geometry and algebra. I am also comfortable with English courses. I am available Mondays, Wednesdays, Fridays, Saturdays, and Sundays at any time. Where did you attend school (or what school are you currently attending)? What degrees do you have and/or are currently working towards? I graduated from Corona High School and am currently attending Santiago Canyon College (SCC) for Computer Science. I can commute 15 miles from Corona. I hope to transfer to a four year university (UC Santa Cruz) and receive my degree in computer science then work to become a programmer for Microsoft. I enjoy drawing, working in photoshop, working on cars, reading, and learning how to code in new languages. I helped an old friend go from an F to a B in a summer class in college (English 101). She didn’t have the drive or know-how to complete the assignments and was quickly falling behind. If she had failed the course she would have been kicked from the school but I did my best to help while taking a course I was struggling in and she is now doing great in school and working towards her degree. It would easily be seeing the person ecstatic due to the fact that they understand a subject they had trouble with. It is a truly rewarding feeling. If you’re interested in hiring Victor as a tutor, please contact us at (909) 238-8233 or email us at TheTutoringSolution@gmail.com. To learn more about our other tutors, click on the link. We provide tutoring in Corona, Chino Hills, Chino, Ontario, Rancho Cucamonga, Riverside, Eastvale, Alta Loma, Norco, Mira Loma and all the surrounding cities. We have students from Sky Country Elementary, Oxford Preparatory Academy, Townsend Junior High School, Roosevelt High School, Alta Loma High School, Norco High School, Centennial High School, Chino Hills High School, Ontario Christian High School and Ayala High School. Ernesto Figueroa – Tutor is no longer available. I am the eldest of 5 children and have helped each one of them with their homework and assignments when needed. While in college, I was apart of the Joint-Education Project in downtown Los Angeles where I helped elementary school students on their daily assignments in the classroom. Most recently, I was a mentor to high school students who were interested in becoming engineering majors in college. I am a recent graduate from the University of Southern California with a BS in Biomedical Engineering. I am willing to travel within a radius of 15 miles from Montclair. Would consider traveling further if need be. I hope to work in industry with medical devices. I want to be able to design and test new products to help people around the world. I am an avid sports fan and love keeping up with all of my favorite teams. If I need a change of pace I enjoy going out to the golf course or having a quiet night in doing puzzles and building things. I helped a student get interested in computer coding. She came to me with no knowledge or interest in the subject and left with the ability to fly a remote control helicopter using a flight plan she created using computer code. I enjoy seeing the students become more and more interested in the subjects they once had trouble in. If you’re interested in hiring Ernesto as a tutor, please contact us at (909) 238-8233 or email us at TheTutoringSolution@gmail.com. To learn more about our other tutors, click on the link. We provide tutoring in Ontario, Chino Chino Hills, Rancho Cucamonga, Riverside, Eastvale, Alta Loma, Corona, Norco, Mira Loma and all the surrounding cities. We have students from Sky Country Elementary, Oxford Preparatory Academy, Townsend Junior High School, Roosevelt High School, Alta Loma High School, Norco High School, Centennial High School, Chino Hills High School, Ontario Christian High School and Ayala High School. Melissa Meza – Tutor is no longer available. I have extensive knowledge in working with elementary and special education students and have been an aide/tutor for over 2 years. English & Math at the elementary level but I can also tutor Pre-Algebra and Algebra at the junior high level. I’m available Mondays, Tuesdays, and Thursdays after 4pm. Where did you attend school? What degrees do you have? I have a Bachelors of Art in Psychology that I received from Cal State San Bernardino and plan to apply for a masters program next year for School Psychology. Within 20 miles of Ontario. I would prefer to tutor hands on and not through the Internet. I plan to attend graduate school in hopes of becoming a School Psychologist for an Elementary School. I enjoy attending concerts and have attended over 50 shows. I also love watching and collecting movies. I have helped my students meet their IEP goals since I work with the special education population. I enjoy having the knowledge and expertise to help children learn and grow. If you’re interested in hiring Melissa as a tutor, please contact us at (909) 238-8233 or email us at TheTutoringSolution@gmail.com. To learn more about our other tutors, click on the link.